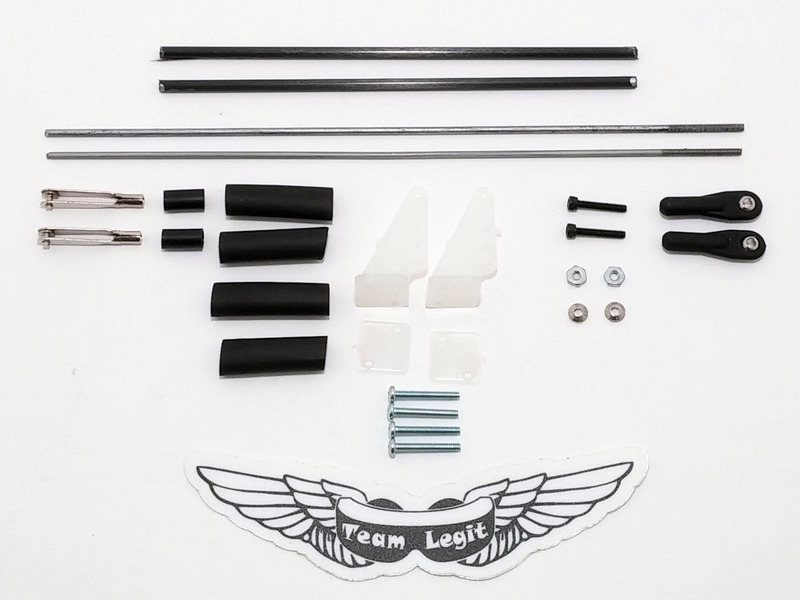 These control rod kits will fit any medium flying wing with a run of 12" or less from the servos to the control surfaces. Full-size Drak (not Mini Drak) HD control rods are recommended for wings over 1500g flying weight. These carbon-sheathed control rod sets will provide stiff, accurate control connections for Ritewing's Mini Drak aircraft. Cutting the carbon tubes to exact length is required. The solder clevises on the servo-end of the rods will require soldering to mount. Included 90-degree end brackets can be alternatively used. Mini Drak airframe kits do not include control hardware.